Ok we celebrated the cold with Winter Wonderland Cupcakes so I thought it was time to heat things up a little. I made chocolate and vanilla cupcakes for an order. The theme was Fire so I made different size yellow, orange and red flames which I glittered for added effect. Luckily my little leaf cutter came in handy here again, it is amazing how many themes I have decorated with this leaf cutter. 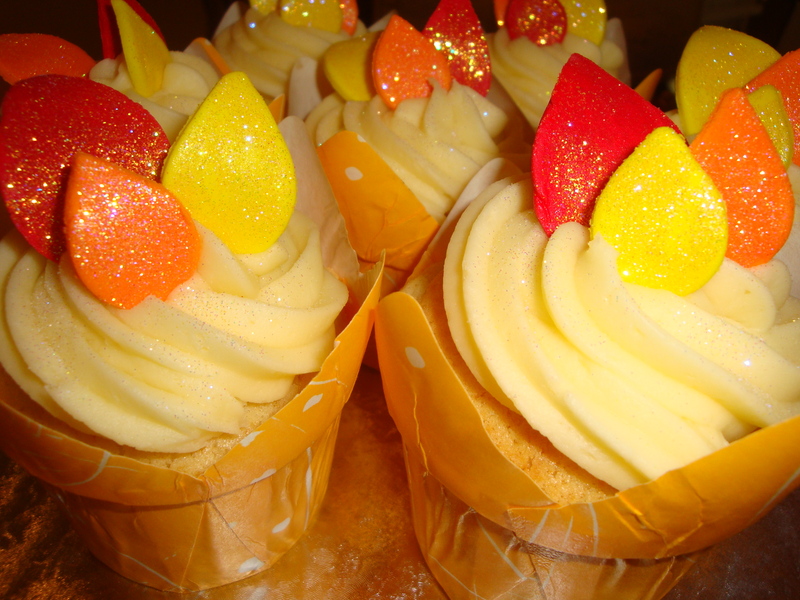 The result was gorgeous cupcakes that would have any party sizzling even on the coldest day this winter! Thanks the ‘leaves’ are actually flames doll! Just used the leaf shape cutter as it is the shape I wanted for the flames. I have a few more to post so look out for new posts shortly.